! 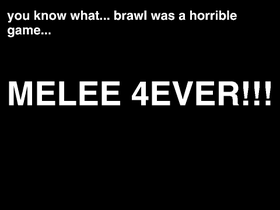 MELEE FANBOY ALERT ! i love super smash bros melee, i recommend everyone try it, i also play SSF2 a lot so, if anyone wants to vs me online, fear the shiny jigglypuff!!! SSBM pro simulator - now you can play super smash bros melee like a pro! Let's get 100 curators before December 2018!